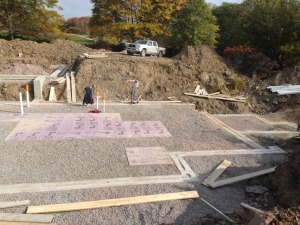 Since our thermal envelope will be within the concrete walls and below the slab, we do not need to insulate the footings. 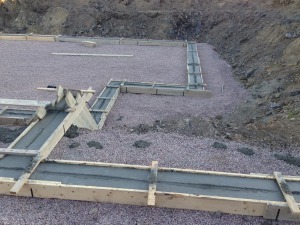 We plan to eliminate the thermal bridge between the slab and footing by placing our under slab insulation over the footing and installing a piece of EPS at slab edge. 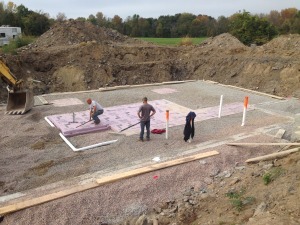 We wanted a hefty R50 for under slab insulation and we used a combination of 10″ XPS insulation (R50) for below footing pads (interior) and 12.75″ EPS insulation (R48). 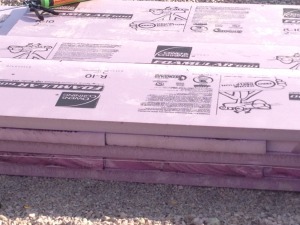 10″ of XPS below footing pad makes for an awful lot of insulation! 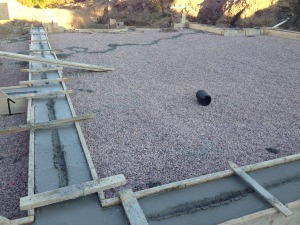 Packed stone around the footing pad insulation is prepared. Walls are ready to be poured, then the EPS can be placed on top. 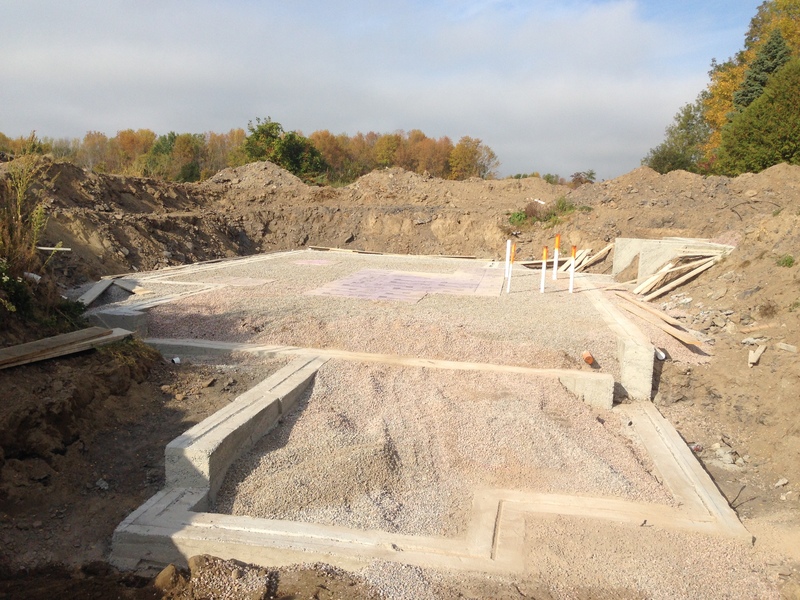 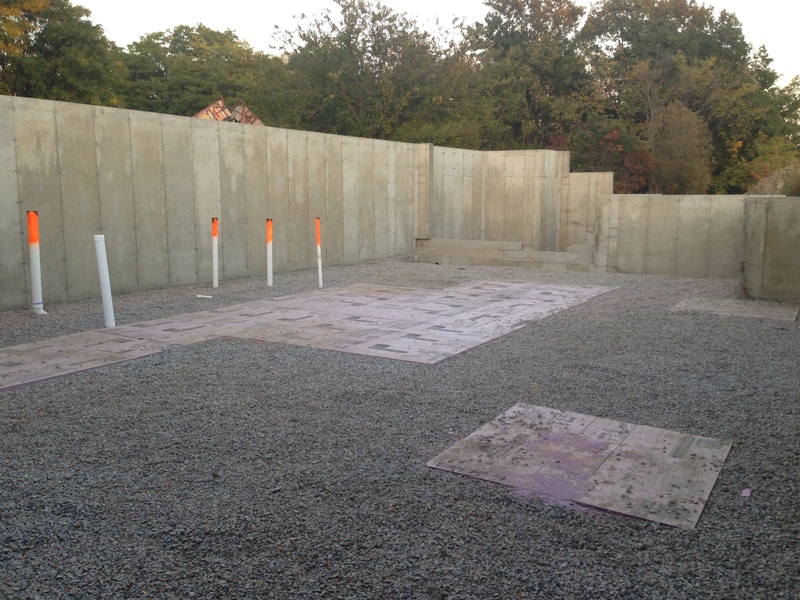 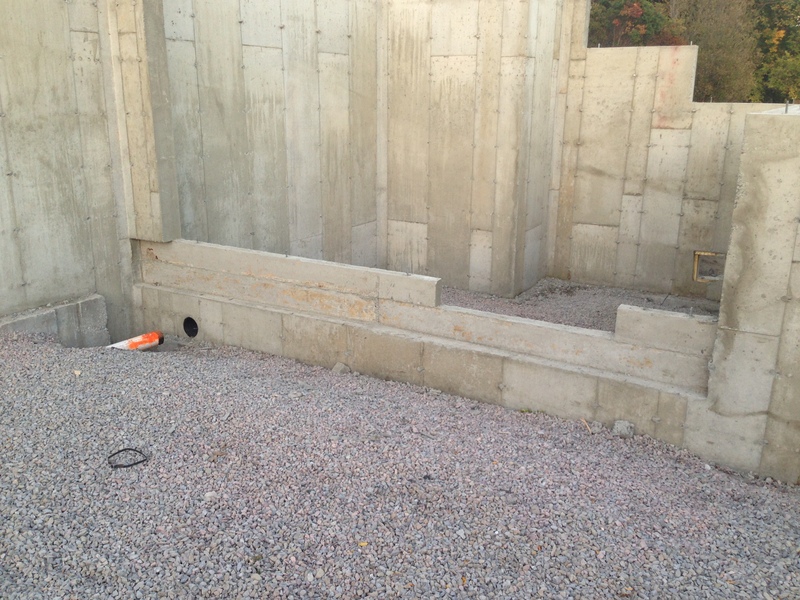 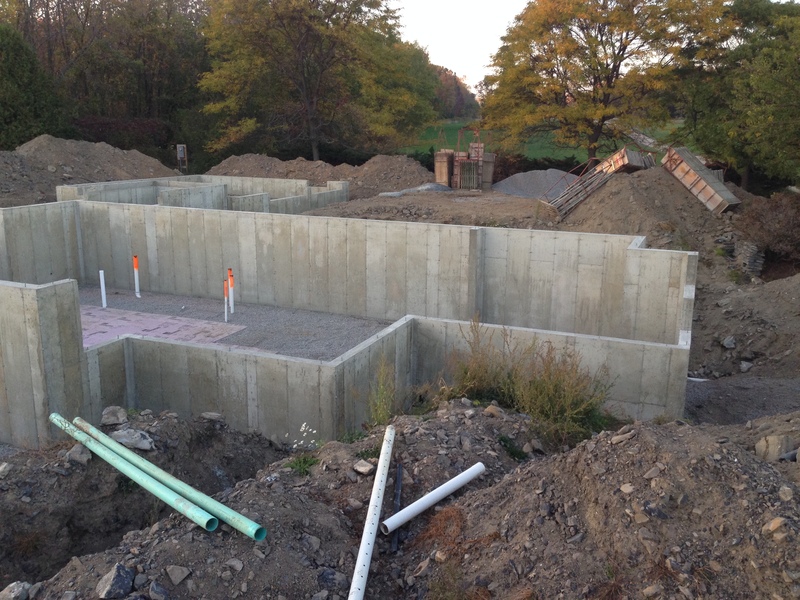 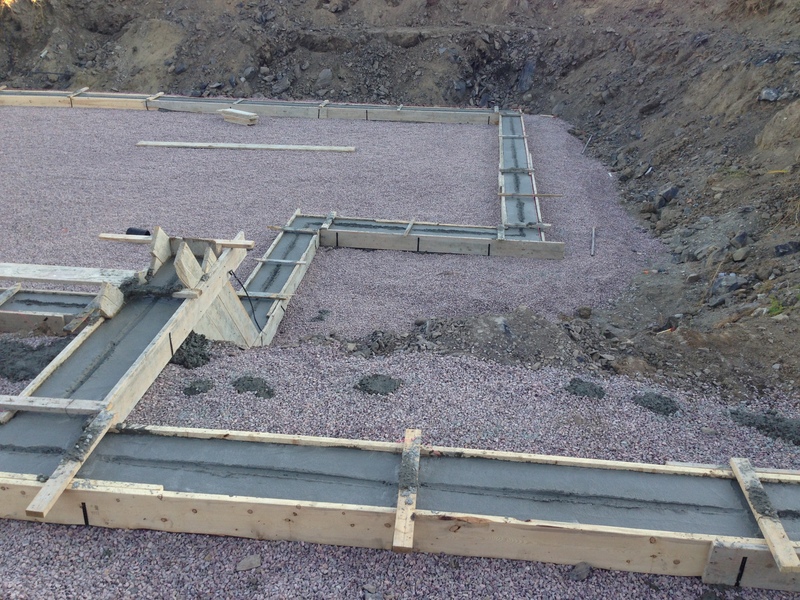 Walls and footings were poured conventionally because our thermal envelope will be inside them.